“Moving Walls,” a documentary that chronicles what happened to the barracks at Wyoming’s Heart Mountain concentration camp after World War II, will have its Los Angeles premiere on Saturday, Dec. 9, from 2 to 4 p.m. at the Tateuchi Democracy Center at the Japanese American National Museum, 100 N. Central Ave. in Little Tokyo. The film tells the little-known story of how the barracks survived after the war when they were sold to homesteaders for only a dollar each. 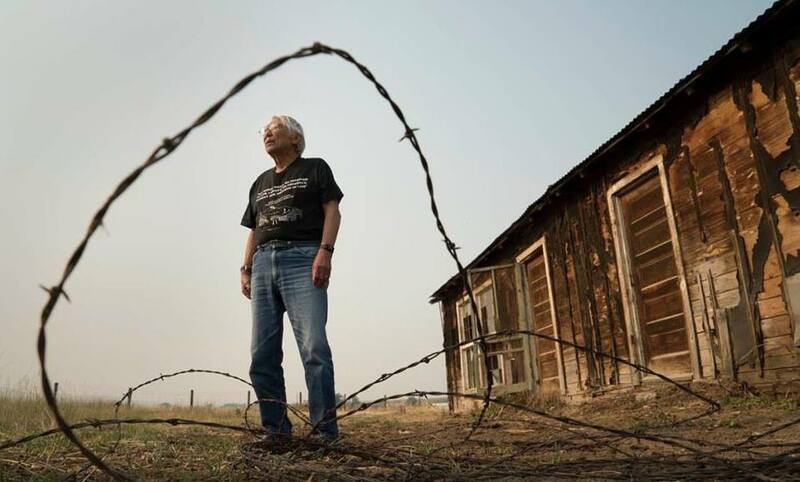 Featuring interviews with the few remaining homesteaders who still live in them today, the film offers a rare inside look at the lives of farmers in the remote high plains area of Wyoming and focuses on some of the attitudes toward Japanese Americans that still exist today. The remnants of the incarceration center can be seen throughout the area in the barracks that have been transformed into modern homes, garages, storage sheds, apartment buildings, and various other structures. Several Heart Mountain former detainees are also featured in the film, including former Secretary of Transportation Noman Y. Mineta, former Utah Assistant Attorney General Raymond Uno, former draft resister Takashi Hoshizaki, and Heart Mountain expert Bacon Sakatani. They offer their insights into what it was like being forced to live in the hastily constructed barracks in the extreme weather conditions of this desolate and remote area. A Q&A with Yamato, whose past films include “Out of Infamy” and “A Flicker in Eternity,” and Honda, a New York-based photographer who is well known for his night sky photography and career as a photojournalist, follows the screening. Yamato cites the importance of the barracks as permanent reminders of the impact of the mass incarceration not only for those who lived in them during the war, but also for the local population that transformed the buildings into livable structures necessary for their survival. An earlier version of the film accompanied a book launch of “Moving Walls” at the Heart Mountain Interpretive Center in Wyoming last September. An exhibition of photographs by Honda accompanied the book launch and is on display there until the end of the year. The Dec. 9 screening is being co-sponsored by the Japanese American National Museum and Visual Communications. Admission is free for members of either institution. Funded by the Department of Interior, National Park Service (NPS), through the Japanese American Confinement Sites (JACS) grant program for the year 2014-2015, the project is under the fiscal sponsorship of Visual Communications. For more information on this project, contact Yamato at [email protected] For questions regarding the JACS grant program, contact Kara Miyagishima, program manager, at (303) 969-2885.